From Pumpkin Spice Latte to Frappuccino season, Starbucks is pretty much a standing engagement for many people. But you may not realize that while you're getting your morning caffeine fix, you may be indulging in some unnecessary calories. That's not to say that all of the Starbucks menu is taking a toll on your waistline. A number of menu items — from breakfast and lunch picks to coffee and tea orders — aren't bad for you. In fact, some are downright healthy! When it comes to making over your Starbucks order, and it's easier than you think. Read on for the healthiest drink and food choices off the menu. 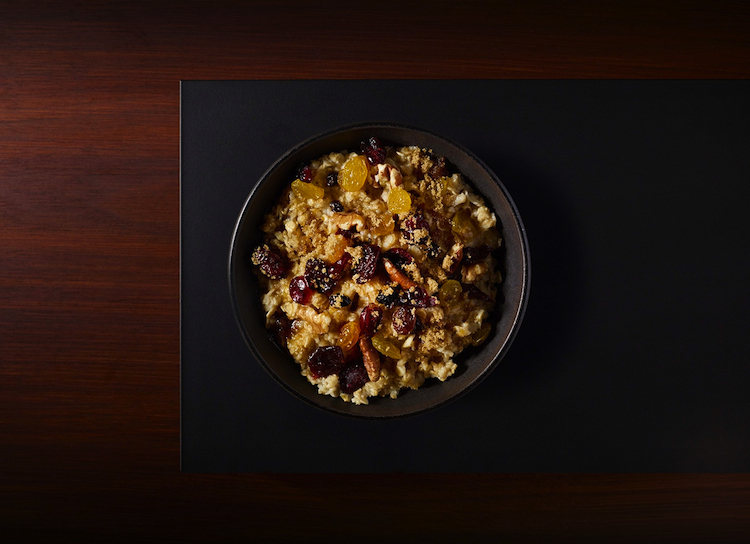 Kick your day off right with this high-fiber, low-sodium blend of old-fashioned and steel-cut oats. The nut and fruit toppings add flavor, though you'll want to skip the brown sugar to keep it healthy. 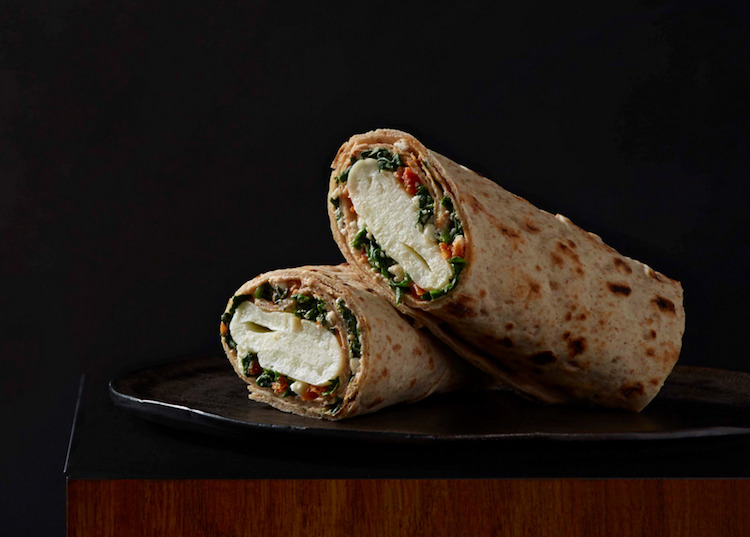 If you're looking for something a little more hearty in the morning, opt for this part-whole-wheat wrap containing roasted tomatoes, spinach, and egg whites. It's high in fiber, and the feta adds calcium and more protein. Trying to cut carbs? Starbucks still has a breakfast option for you, these bites — which are just like mini quiches — are eggs cooked "sous vide," or cooked evenly in a sealed container in hot water. They're protein-heavy, keeping you full through to lunch. By the afternoon, you'll want something tasty and filling. That's just what this meal delivers, thanks to the combination of grilled chicken, quinoa, greens, tomatoes, roasted corn, black beans, jicama, paprika and feta. The medium-spiced chile vinaigrette adds a nice kick without being overpowering. The sweetness of this lunch option comes from the peanut sauce available for dipping the wrap and grapes. As for the sandwich, it contains red peppers, crunchy carrots, jicama, and cabbage slaw, all rich in fiber and vitamins A and C.
This vegetarian-friendly meal is delicious enough for even the biggest meat-lover. Roasted tomatoes, mozzarella, spinach, and basil pesto pair together deliciously on toasted focaccia, and it still manages to be low in sodium with less than 700 mg of sodium. Starving by mid-day? Tide yourself over until dinner with this protein-packed snack, containing two hard boiled eggs, sliced apples, grapes, white cheddar cheese, multigrain muesli bread, and honey peanut butter. This iced drink is refreshing and only lightly sweetened. Plus, the green tea works wonders on your metabolism! Get your caffeine fix — a serious fix at 225 mg — with the lowest number of calories. This drink is simply espresso shots topped with hot water, which produces a light layer of crema. If the Caffé Americano isn't milky enough for you, opt for this sweet treat, flavored with sugar-free flavored syrup. Finished with espresso and steamed nonfat milk, you won't regret this choice.